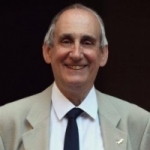 An honorary life fellow of Gresham College, Professor Tim Connell was Director of Language Studies at City University London and became an emeritus professor in 2009. He is a graduate of Oxford, Liverpool and London universities, and has studied in Spain and Mexico. He also holds the degree of Doctor of Letters from City University. His particular interest is in the field of professional training for translators and interpreters, where he works closely with the Chartered Institute of Linguists, of which he is a Fellow and a Vice-President, and is also Chairman of the Board of the Educational Trust. International education is another area of key concern. He is deputy chair of the international course board for the Ecole Supérieure de Commerce de Paris, which also covers London, Berlin, Madrid and Turin. His main language is Spanish (for professional and family reasons) and he has had links with Latin America for many years. He writes and broadcasts regularly on a wide range of themes relating to London, languages in the modern world and diverse cultural topics. He is a member of the All Party Parliamentary Languages Group and works closely with the Industry and Parliament Trust on a variety of projects. He has developed particular links in the Square Mile. He is a Freeman of the City of London and sits on the Court of the Stationers' Company. 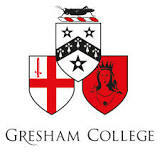 He is Chairman of the Gresham Society.